There are so many things to do, events to see, and outdoor recreation in Hendersonville, NC, that there is sure to be something for everyone! Choose from all the great things to do in Historic Hendersonville, the Blueridge Mountains, and the surrounding Asheville area. We’d love to share our knowledge of the area with you, give recommendations, and we’ll even plan your visit so you can spend more time having fun. Whether you wish to escape the hustle and bustle of everyday life or want to spend extra time with loved ones this year, you’ll find the perfect activities to help you relax in western North Carolina. Burntshirt Vineyards is one of the best wine spots in North Carolina! Located in the Blue Ridge Mountains, you can enjoy stunning panoramic views of the mountains while sipping on artisanal wine. 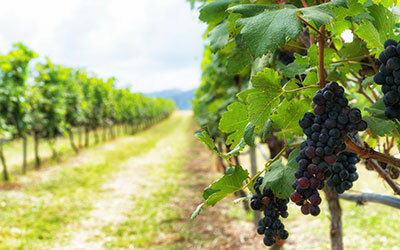 Burntshirt Vineyards has been a staple of the North Carolina wine scene for more than 80 years, producing wine from two estate vineyards in Henderson Country and a 10,440 ft². winery. Take a guided tour through their production facility and end your visit with one of their famous wine tastings! 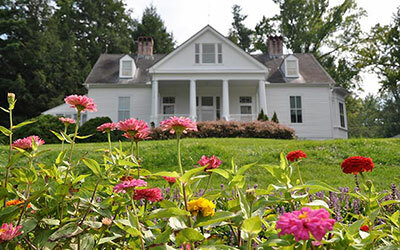 Witness an important piece of literary history at the Carl Sandburg Home National Historic Site! Carl Sandburg was a Pulitzer Prize-winning poet, author, and biographer of Abraham Lincoln. His home in Flat Rock, known as Connemara, is where Sandburg spent the last 22 years of his life with his family. The 264-acre site includes the well-preserved house, hiking trails, and a goat farm, where his wife’s champion goats are still raised. Don’t miss this opportunity to honor one of America’s most prominent writers. 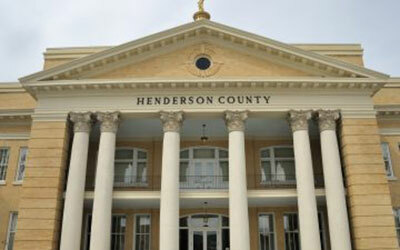 Visit the Henderson County Heritage Museum for a fascinating journey through local history! This museum is a must-see for those wanting to learn more about Henderson Country and the people that have made it what it is today. Located in the Henderson County Historic Courthouse, they offer dioramas, educational programs, research, and collections designed to preserve and cultivate an appreciation for the past. Both adults and children will come away from the experience with a greater understanding of the Hendersonville community. Located in the Hendersonville train depot on Maple Street and 7th Avenue lies a top tourist destination! The Apple Valley Model Railroad offers an HO scale model railroad layout depicting Western NC in the heyday of railroads. 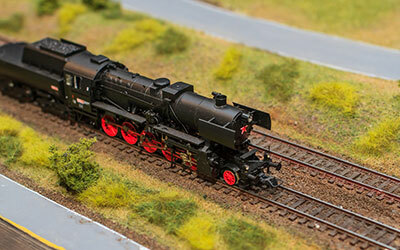 There is a 100 ft by 18 ft layout that features over 1800 ft of track and scenic mountain terrain. Outside the depot, they also have a 12 ft by 60 ft G scale (garden scale train) logging layout and a full-size caboose that you can view inside and out. AVMRR Club is open to the public on Saturday from 10:00 am to 2:00 pm and on Wednesday from 1:00 pm to 3:00 pm. Admission is free but donations are appreciated.